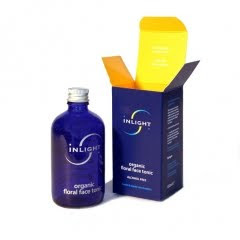 I was recently sent some skincare products from Inlight Organic Skincare which I have been using for the last month or so to see how they work. The skincare line was developed by Dr Mariano Spiezia a medical doctor, homeopath and herbalist with over 30 years of scientific research to his name. The brand is certified by the Soil Association and is 100% organic and wholly plant based. 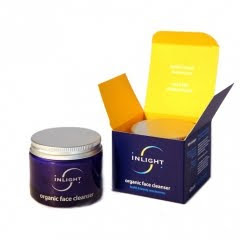 First up is the Inlight Organic Face Cleanser which they describe as a deep skin cleanser with a mild exfoliant action which removes the outer layer of dirt and dead cells.